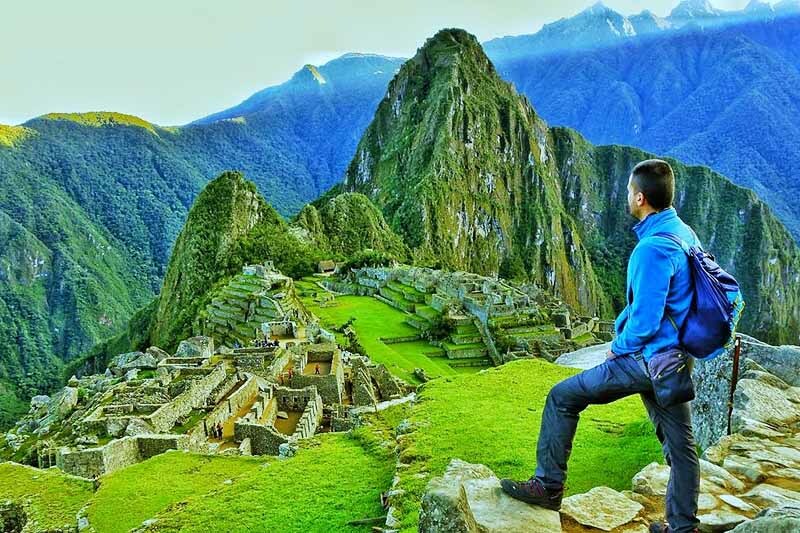 How to visit Machu Picchu and Huayna Picchu in 1 day? Huayna Picchu is one of the most sought after tourist attractions by visitors from around the world. The entrance ticket to this place includes the entrance to the Inca Citadel. This ticket allows you to know both tourist attractions in 1 day only. Can you visit both mountains in a single day? How long does the tour of Huayna Picchu take? How long does the tour of Machu Picchu take? Yes you can. The ticket Machu Picchu + Huayna Picchu is designed so that the visitor has enough time to tour the ‘Machu’ and the ‘Wayna’ in 1 day. The ticket has 3 shifts that give the tourist time to enjoy the Wonder of the World to the fullest. All schedules allow a maximum of 6 hours to visit Machu Picchu and Waynapicchu. If you visit the so-called Temple of the Moon of Huayna Picchu, the time is 7 hours. The ticket Machu Picchu + Huayna Picchu offers a time of 6 to 7 hours to visit both tourist attractions: the Inca City and the Waynapicchu. As much the ascent as the descent by the mountain Huayna Picchu takes in average of 1 hour and 30 minutes. The time of rise depends on the physical condition of the tourist. In the Huayna Picchu you can visit the Temple of the Moon and have an incredible experience at the top. This is the ideal place to get the best pictures of the Inca City. A proper visit takes 3 hours. The tour of Machu Picchu lasts the time in which the tour is made with the tour guide. It takes 2 hours on average. Today it is mandatory to enter with a guide to the Inca City. The visit includes the tour of the main tourist attractions of the place, such as: the Temple of the Condor, the Temple of the Sun, the Main Temple, the Intihuatana and more. The visit will also allow time for the tourist to appreciate the Wonder of the World on his own. The schedule allows entering Machu Picchu from 6 in the morning. The entrance to Huayna Picchu is between 7 and 8 in the morning. The schedule is ideal for climbing in a cool environment. Once at the top, you can enjoy the landscape that represents the sunrise in Machu Picchu. You can stay up to 7 hours in Machu Picchu and Waynapicchu. The schedule allows entering Machu Picchu from 7 in the morning. With this schedule the tourist must go to Waynapicchu at the same moment of his entrance to Machu Picchu. The tour of Waynapicchu is together with the tourists of Group 1. You can stay up to 7 hours in Machu Picchu and Huayna Picchu. The schedule allows you to enter Machu Picchu from 8 in the morning. The entrance to the Waynapicchu is between 10.30 and 11.30 in the morning. With this schedule, the visitor can ascend the Waynapicchu surrounded by fewer tourists. The tour is in broad daylight. You can stay at Machu Picchu and Huayna Picchu for a maximum time of 6 hours. The entrance Machu Picchu + Huayna Picchu is the ticket with the most demand in the Inca City. Buy your ticket online with up to 3 months in advance. Acquire the tickets to Huayna Picchu months in advance, especially during the high season of tourism (from April to October). Stay the night before the visit in the town of Aguas Calientes. If you travel from Cusco that same day, you will not arrive on time (from 6 am). Do not walk up to the entrance to Machu Picchu. It is preferable to do so by bus, as you must save your energies to visit the Waynapicchu. Take only the clothes and the necessary items: a rain poncho, a hat, a water bottle, light clothing suitable for the journey, mosquito repellent and a backpack. Acquire the tickets to Huayna Picchu with up to 3 months in advance. Stay the night before in the town of Aguas Calientes. That way you can be early at the entrance door to the Inca Citadel the next day. The entrance to Machu Picchu and Waynapicchu is from 7 am The tourist must approach the Huayna Picchu gate promptly. Huayna Picchu in Group 2 does accept the Temple of the Moon visit. Try to descend from the top of Waynapicchu at 11.30 a.m.
Do not forget to bring water and some snacks with you. Also do not forget the camera. This schedule allows you to visit the Huayna Picchu mountain from 10.30 a.m. so it is the only one that allows a visit from the city of Cusco. Do not forget to bring a hat and a sunscreen. At that time the sun is usually full so precautions must be taken. Huayna Picchu in Group 3 does not allow a visit to the Temple of the Moon. The ascent is with fewer tourists around. However, be careful with visitors that descend from Waynapicchu. Tour the Inca City of Machu Picchu as soon as you enter (8 am). The rest of the time, dedicate it to ascend the mountain Huayna Picchu. The security in Huayna Picchu has a lot to do with the tourist. Do not look for unmarked roads or try to take pictures on the edge of cliffs. On Waynapicchu mountain, teenagers should be watched closely by their parents. Older adults should consult their doctor before the walk. Calculate the time of visit to Machu Picchu depending on the time in Huayna Picchu and vice versa. The ticket allows enough time to visit both places. The entrance to Huayna Picchu is only allowed to people over 12 years. The parents take care of the minors. Climbing the Waynapicchu is not recommended for people suffering from vertigo or fear of heights. If you did not get tickets to visit Huayna Picchu, another option is to book the ticket Machu Picchu + Mountain. At the entrance to the Waynapicchu mountain there is a control booth where the tourist must register. This procedure is to monitor the number of tourists entering and leaving the place. ← Day trip to Machu Picchu – Which ticket to choose?